DISCLAIMER: for VERTICAL mounting applications, the foot of the tool must rest on the floor of the compartment it is being mounted in, as pictured. The mount is NOT designed to hold the weight of the tool up off the floor. 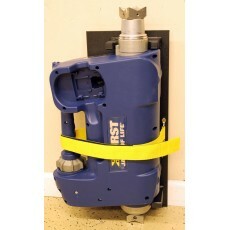 Mounting the tool in any vertical fashion other than stated, will void the warranty.